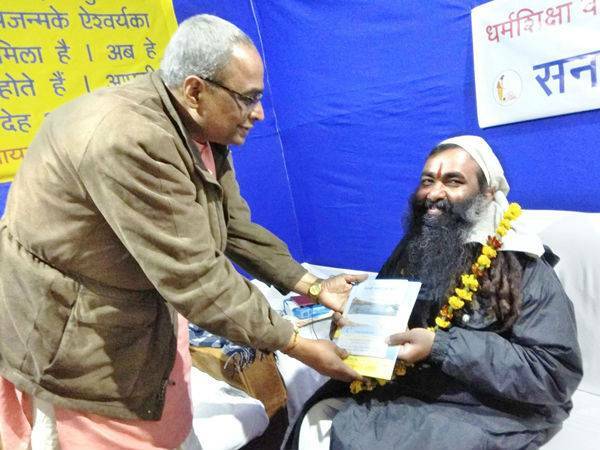 Prayagraj (Kumbhanagari) : Sanatan Sanstha’s exhibition is helping in creating awareness among youth towards matters related to protection of nation and Dharma, stated Mahamuni Shritah Mahagatah of Dakshineshwar Dham, Sirsi in Nepal when on 5th February, he visited the book and ‘Dharmaphalak’-boards exhibitions held by Sanatan Sanstha and HJS. 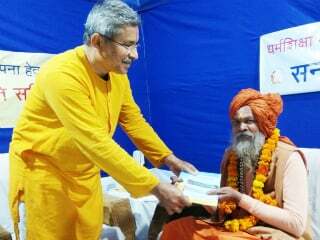 Sadguru (Dr.) Charudatta Pingale, national-Guide of HJS welcomed him by garlanding and presenting HJS’ book on protection of River Ganga. 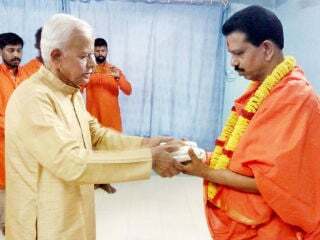 ‘Pujya’ Nilesh Singbal, HJS-Guide for North-East India was also present on the occasion. 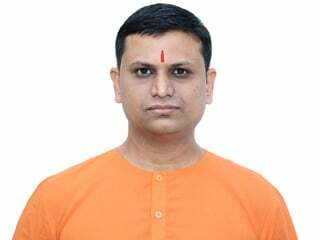 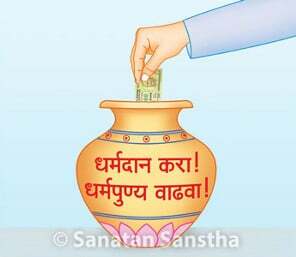 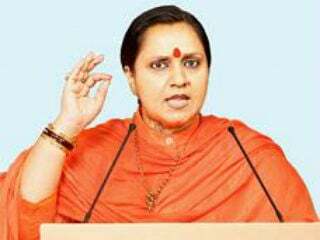 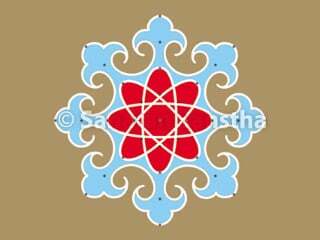 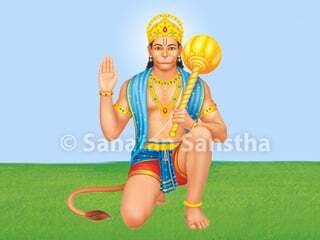 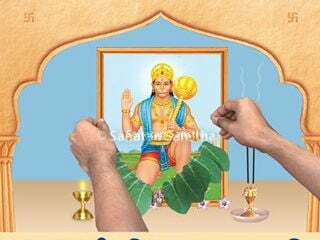 Mahamuni Shritah Mahagatah said that the present generation didn’t have much knowledge of Hindu Dharma and Sanatan Sanstha’s books and ‘Dharmashikshan’- boards give good information.